From an established company that requires a website refresh, to a small business that is yet to get online, we can design a website that is perfect for you. 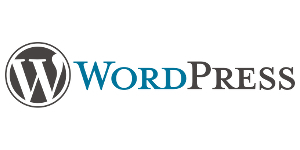 Wordpress is the world's most popular website design platform and offers the ability to create beautiful, fully responsive and more importantly, functional websites that deliver results for your business. We choose to work with Wordpress due to endless design possibilities, secure Content Management System and countless plugins to make your website stand out from your competitors. All Wordpress websites come with the ability to grow and expand with your business needs, are SEO ready and have e-commerce capability. How can Insider Media Help with Wordpress? Our pricing includes an SEO friendly, fully responsive design solution. Alternatively, if you require some ad-hoc Wordpress help or assistance on an existing site, then our Wordpress specialist team is also happy to help. Simply contact us for more information. CHAT TO US, WE DON'T BITE! Not sure - Please help me! Thank you for your enquiry. One of our friendly team members will be in touch soon!